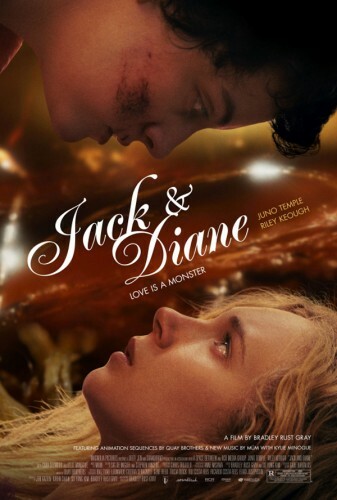 Magnolia Pictures has released a three-minute featurette for director Bradley Rust Gray’s Jack & Diane, a coming-of-age lesbian werewolf drama starring indie-darling Juno Temple (Killer Joe) and Elvis Presley’s model-turned-actress granddaughter Riley Keough (Mad Max: Fury Road). The clip features scenes from the movie and interviews with Keough and Gray. It is currently on VOD and will have a limited released in theaters on Nov. 2. Jack & Diane follows Jack (Keough), a harden New York City dyke, as she attempts to keep her latest conquest Diane (Temple) from leaving town. What Jack doesn’t know is that Diane’s lesbian-awakening has unleashed her animalistic nature.